The HairStemcell Transplantation (HST) method is a proven effective hair transplant technique. The results of a Hair Stem Cell Transplantation with this method are without doubt unique and are not matched by any other hair transplantation technique. This distinguishes Hair Science Institute from all other hair clinics. The HST method is a patented and refined form of hair transplantation. Since 1996, Coen Gho has conducted fundamental studies in the area of ​​Hair Stem Cell Transplantation. The HST method developed and further developed by the Hair Science Institute. The Partial Longitudinal Follicular Unit Transplantation (PL-FUT) method was developed by physician and scientist Coen Gho. Because this is difficult to remember for many people, this technique is called ‘Hair Stem Cell Transplantation’. His research shows that part, instead of the entire hair follicle, is sufficient to form one or more hairs. This is because hair stem cells are located in the graft, the tissue used for the transplant, but also in the remaining part. As a result, new hairs grow both in the donor and the receiving area. The HST Method cleverly utilizes the natural stem cells in combination with a specially developed medium. This guarantees the viability of the grafts and gives the right stimulation to the stem cells to grow. Both components are a prerequisite for achieving the most natural results. Only the Hair Science Institute is available for this medium. How does the HairStemcell transplant work? In a Hair Stem Cell Transplantation, the HST method, we do not remove the entire hair follicle, but a number of hair stem cells remain in the donor area. As a result, regrowth of the hair also takes place there. During a treatment, parts of hair follicles are harvested with a needle. 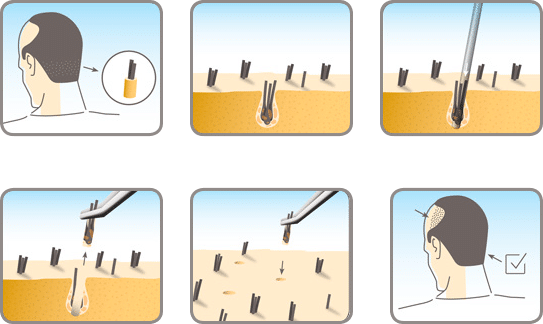 Our innovative hair transplantation technique makes it possible to leave hair stem cells in the donor area and at the same time extract them for transplantation in the receiving area. 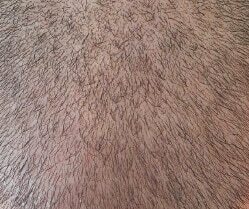 The follicles are able to grow new hairs. Because the hair follicle is split with a very small needle and is then extracted (removed from the scalp), this method has the advantage that the grafts are much smaller compared to the conventional hair transplant techniques. 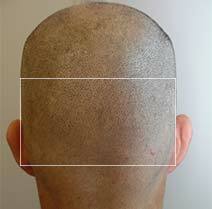 The result is a higher hair density with a much more natural look look and especially a perfect hairline. By removing only part of the hair follicle and the stem cells, the remaining and displaced hair stem cells both form new hair within a few weeks. This is hair of the same quality as the other hairs. After a full hair growth cycle of 9 months, the final result is visible. If desired, multiple treatments are possible due to the recovery of hair follicles in the donor region. At Hair Science Institute we rather talk about a treatment instead of a transplantation. 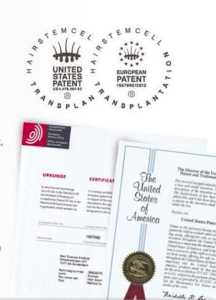 More information about our patented HairStemcell technique or personal advice? Book a free consultation and discuss your wishes with our experts. Researcher Coen Gho has conducted fundamental research on hair transplantation since 1996. His studies have found that different parts of the hair follicle contain stem cells that can stimulate hair growth. 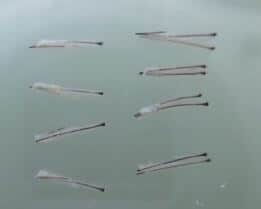 These studies formed the basis of the hair multiplication techniques used by Hair Science Institute, such as hair stem cell transplantation. The HSI method is a hair stem cell transplant method that utilizes the potential of stem cells. This technique was developed by Hair Science Institute and is used worldwide in our clinics in Amsterdam, Maastricht, Cap d’Antibes, London, Jakarta and Riyadh. A HSI HairStemcell transplant is only performed in certified Hair Science Institute clinics, where technicians and physicians are trained by the Hair Science Academy.